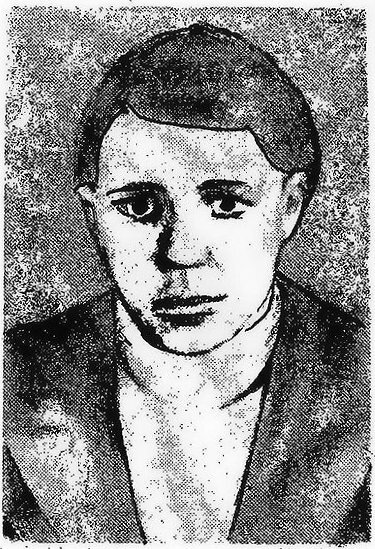 On this day in 1942 in Stalingrad, Russia, seventeen-year-old shoemaker and spy Sasha Fillipov was executed by the German Army for espionage. The Battle of Stalingrad, which had been in progress since July, was bleeding the city white and would continue to do so until the following February. Young Sasha would be just one of over two million casualties. One death, millions of deaths. Stalin had a quote about that. Sasha, who had already become a master cobbler, simultaneously volunteered his shoemaking services for the invading German Army and his spying services for the Russian Army. He became a regular behind German lines, and as he made and repaired their shoes and boots he also stole documents, made note of whatever military activity he could see, eavesdropped on conversations and reported it all to the Russians. Eventually he was discovered, and two days before Christmas he and two other teenagers were led barefoot through the snow and hung from acacia trees on Bryanskaya Street. His parents were there to witness the execution, but his father couldn’t bear to watch and ran away. He also left a ten-year-old brother. In 1944 he was posthumously awarded the Order of the Red Banner for his services to Russia. The street where he died was renamed after him, as was a school on that street. Today, however, Sasha is most remembered for being a minor character in the wildly-inaccurate-but-still-a-thrill-to-watch film, Enemy at the Gates. Sasha in the movie is portrayed as a much younger boy, about twelve years old, and is played by Gabriel Thomson.